Chicago-style politics is front and center. When a sitting president has his roots in this sullied political heritage, it makes for news and leads to speculation. 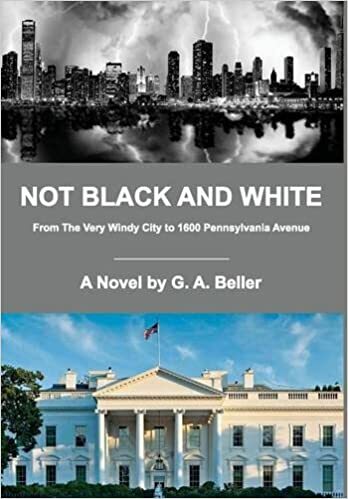 NOT BLACK AND WHITE is a fictional account of many of the events that led to the meteoric rise of a local charismatic street politician to become America's first African-American President, and the downfall and imprisonment of two consecutive governors of the State of Illinois, along with several of their most trusted advisors and cohorts. This story puts the reader inside the campaign offices and smoke-filled back rooms where political deals are made. It depicts the rise and fall of a Syrian immigrant who made millions by pretending he had billions, while charming his way into the highest halls of wealth and power. The perspective of a local attorney/businessman who found himself in a front row seat to politics-as-usual in The City That Works is reflected throughout the story. The cast of characters may appear familiar to anyone who ever read a headline or watched cable news and talk shows across the country. In 1994, a freak traffic accident occurred, killing a family of six young children when their van burst into flames after being struck by a semi-trailer truck driven by a man unqualified to drive such a vehicle. The truck driver, a victim himself, had bribed an employee of the Illinois secretary of state's office in order to procure his commercial driver's license. The tragic accident and resulting exposé of corruption and scandal that followed changed forever the course of American History. 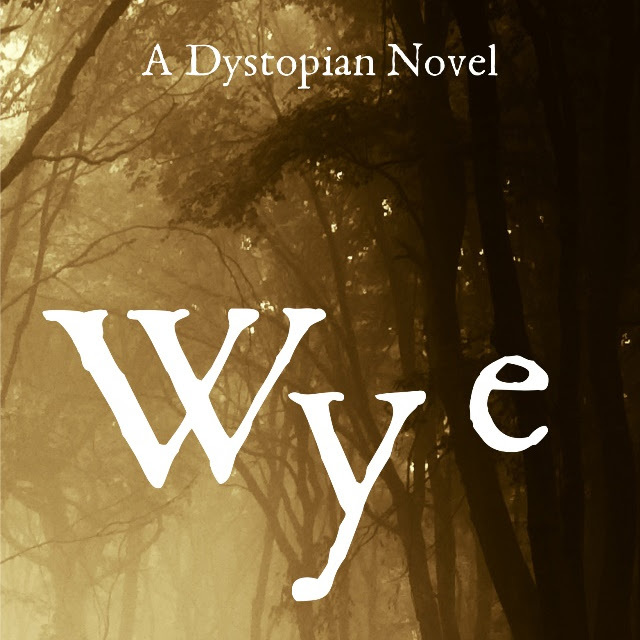 Inspired by true events, NOT BLACK AND WHITE leaves it to the reader to interpret fact from fiction. - Lori Andrews, law professor and author of the Alex Blake Mystery Series. Throughout my career in the investment business, I advanced my knowledge of financial markets and the global political decisions which drive their directions and trends. I was determined to understand politics on not only the local level, but on the national and global levels as well. 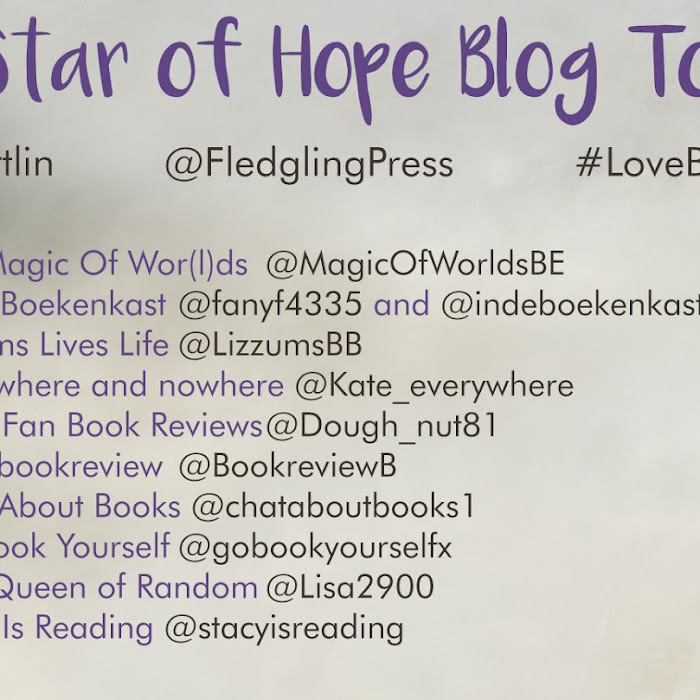 The more I read, the more I formed strong opinions, and those strong opinions fueled my desire to write. This passion to write had been on the back burner until I was able to devote the time to make becoming a serious writer my priority. Now that time has finally come, and I intend to become a relevant writer as my new primary career. I don't believe the articles in newspapers or online are necessarily accurate. Additionally, many publications have their own agendas, and therefore the information in the articles may be biased. Though I primarily used these previous writings to formulate the basis for the story of Not Black And White, I was unwilling to accept the information as accurate or factual. I don't think anyone is capable of telling this story as non-fiction. As an aspiring writer, when I started this book I wanted to create excitement and entertainment, which required a great deal of speculation. My creative juices took over, and I chose to fictionalize the characters and events with my goal to provide the reader with an entertaining novel. I also wanted to challenge the reader to use their imagination to determine fact from fiction. Since the story is loosely based upon the true characters and events, and I question many of the facts as previously written, I am speculating on how the stories played out. I cannot say with certainty, nor am I willing to share my opinion, as to what events actually happened as written. Q. In order to write this book, you must have had access to a wealth of inside knowledge and background information that the average “Joe,” outside the halls of power, would not be privy to. What can you tell us about your sources? As I stated in the Author's Notes, my resources for this book were the many articles written about this time in history. The story is totally speculation enhanced by my curiosity and imagination and applied to prior written accounts of characters and events. Joe Klein's Primary Colors was, in my opinion, a very entertaining book. Mr. Klein used the fictionalized accounting of characters and events to write his novel. Obviously, that strategy was the same for Not Black And White, and the subject content of both books is politics during a specific time in history. The similarity ends with that strategy for telling the story. I cannot think of another novel or political thriller that would compare to either book. I did vote for President Obama in 2008. I did my best to avoid any personal perspective relating to my political views. My writing of Not Black And White did not influence my personal opinion of Obama. My views of Obama have, however, been formulated based upon the actions and policies of the President and his administration during the past six years. My political affiliation was not affected by the writing of this book. I strongly believe that both major parties are too extreme. I do not affiliate with either party, and would like to see a truly credible candidate represent an independent third party. The independent vote is critical for either party to win a presidential election. Additionally, it appears that the size of that vote is growing, as more voters are becoming dissatisfied with the major party base and their political platforms. Hopefully, someday the political process will offer an electable third party candidate to represent the independent voters. Chicago is one of the most difficult cities to govern for a number of reasons. It might be the most diverse city in the country, as it became a melting pot for immigrants of all nationalities. Settlers from around the globe have established neighborhoods. The city became a major center for trade, creating labor and cultural challenges since the 19th century. To this day, labor unions dominate the political landscape. Additionally, organized crime has been associated with Chicago for as long as I can remember. Although Chicago doesn't stand alone in the challenges of crime and corruption in politics, its mayors have been challenged to make it “The City that Works." The political machines in Chicago and Illinois have been at the center of media coverage for over a century. "Chicago-style politics" has earned its reputation by those in power playing by their own rules, which in many cases has landed numerous political figures in front of the cameras on their way to prison. 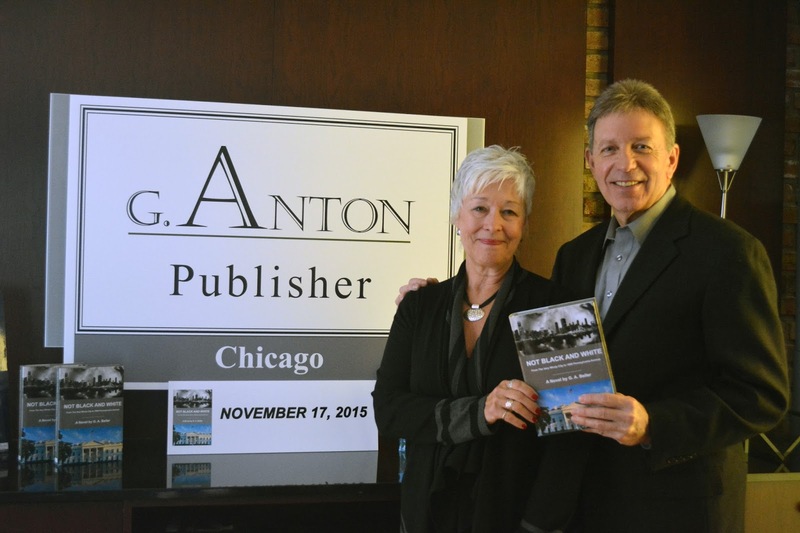 Not Black And White depicts a prime example of just such an era in Chicago-style politics. Obviously, power corrupts. In many cases, the temptation to participate is overwhelming, even for a politician who starts out with good intentions. My suggestions would not totally solve the problem of ill-intentioned power seekers, but they would not be influenced by the need to raise campaign funds from these special interest groups. First of all, I would overhaul the rules governing the funding of political campaigns at all levels. As idealistic as this sounds, I would eliminate all lobbyists. I would rewrite campaign finance law so that no one may contribute to any candidate. Political candidates would receive a fixed amount of taxpayer dollars, with every qualifying candidate receiving the same allotment. Debates would be sponsored by TV stations and paid for by the taxpayer. A specific program would be defined and apply to each election. If lobbying and campaign funding by individuals and special interest groups were altered, as I am suggesting, the cost to the taxpayers would be a small fraction of the cost which ripples through the economy when the special interest groups pass along the cost of their agendas to the consumers. A prime example is Big Pharma and the healthcare lobby. My suggested program would clearly mitigate the corruption to the great benefit of the citizens of the United States at every level. Q. You have travelled extensively, but have chosen to live in Chicago for over twenty-five years. What attracts you to select Chicago as your home? I have spent extended periods of time in many cities around the country. There are a number of reasons I choose to make Chicago my home. For anyone who has visited Chicago, and particularly in the spring, summer and fall, I don’t have to explain the attraction of the city. The city life offers an affordable lifestyle in a beautiful, clean urban environment. The arts, entertainment and dining options are extensive. The city is known as “The City that Works," and I find this to be true. The transportation options throughout the metropolitan Chicago area, as well as its proximity to two major airports, makes Chicago's accessibility to world travel second to none, in my opinion. Additionally, I find the Midwestern attitude and mentality, as evidenced by the friends I’ve made, better than anywhere else in the country. I love visiting New York and California, but for a home base, I choose Chicago. I subscribe to about thirty publications a month. I consider myself a serial reader of newsletters, both political and financial. I regularly read the Washington Post, The Wall Street Journal, The New York Times, The Financial Times, USA Today, Chicago Crain’s as well as the two local Chicago newspapers. I read The Economist, and alternate between a number of monthly magazines, roughly eight to ten when I am home, and more when I travel. I read daily postings on many websites and from bloggers, and I subscribe to at least a dozen daily online newsletters. I estimate I spend a minimum of two hours a day during the week and roughly three to four hours on weekend days. I'm a political junkie. The idea for this book came out of the constant media reminders of political shenanigans – national, state, and local – as well as the nonstop negative campaigning filling the airwaves, our voice mails, and our mailboxes. This constant flow fuels my desire to write. I was intrigued when a relatively obscure local politician raised his standing to the national stage almost overnight and was instantly embraced by the voters to become our first African-American president. I, too, was captivated by his charm and charisma as I enthusiastically cast my vote. Living in Chicago, surrounded by a history of political corruption and incompetence in our state politics, my curiosity prompted me to research this specific era of rampant criminal behavior – a time when it appeared things couldn't get worse. As our convicted politicians and their cronies were being released from prison, I decided to utilize articles that appeared in the press and on the internet to create a fictionalized accounting of the characters and events, and I depict, through my imagination, how things might have played out. You are the only one who can share the Spiritual Message which God has planted in your heart. I feel it is NO accident that you are reading this right now. Our world has changed a lot. Our children and grandchildren must be taught that they will experience trials and hardships but that if they will allow Jesus, He will be with them through everything. He will give them hope, love and comfort. 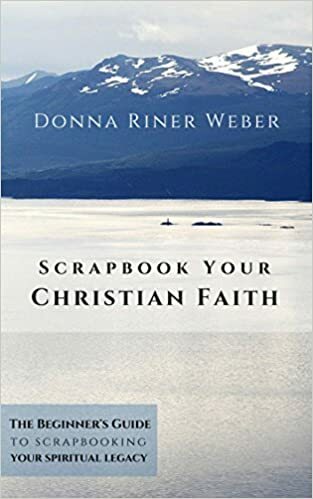 Scrapbooking Your Faith (or Faithbooking) is an excellent way to Share God’s presence in your life today as well as in the future. Those are words no one ever wants to hear. If you’ve ever uttered the words, “we’re just friends,” you know all too well the awkwardness of being in that situation. And if you’ve ever been told “we’re just friends,” you know the weird and embarrassing pain of telling your crush you want to take the relationship to the next level, only to be told they don't feel the same way. Many people from all walks of life face unrequited love and wind up in the "friend zone." What if I told you most people friend zone themselves? One of the reasons people end up being "just friends" is they are simply not attractive to the person they desire. Is it possible to get out the friend zone? Enter Angelo, an obese tech engineer in desperate need of losing 180 pounds of body fat. When serendipity introduces him to super fit Jean, he’s instantly placed inside the infamous friend zone. Ignoring countless rejection and logical reasoning, Angelo embarks on a mythical journey over three mountains. Never giving in to despair, Angelo‘s astonishing journey shows you how far willpower, perseverance and love can take you. And that nothing’s over until it’s over. 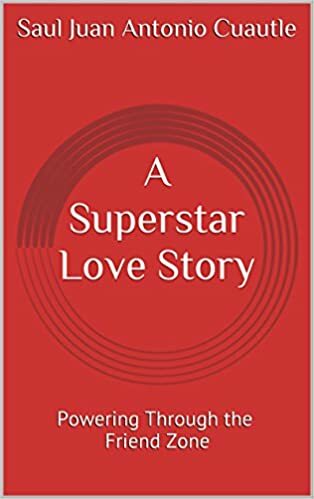 More than a book about struggling with the mystery of the friend zone dilemma, this insightful true story is about breaking down self-imposed limitations about what’s possible in love, life and fitness. It showcases you must stumble in order to triumph, and the transformative power of the human mind. Witty, inspirational and unflatteringly honest, this feel-good drama appeals to the very essence of why romantic relationships are so hard to be successful. And why they’re worth the often painful pursuit. Whether you're in a relationship, looking for a relationship, or happily single, you'll walk away with a renewed faith in dating and relationships. Saul Juan Antonio Cuautle is a writer, entrepreneur, and coach based out of Menlo Park, CA. He fell into all these roles by stubbornness or dumb luck. He writes about things that move him. Percy James has everything a girl could want: a comfy flat, a steady relationship and a truly lovely group of friends. Then she is approached by Eros Tech. Eros is 'the future of love' - an agency that brings together soulmates using mobile data. Percy has been identified as a match for one of Eros's super wealthy clients. The only problem is she already has a boyfriend . . . but what if this is *destiny*? Would you - could you - pass up a chance to meet your one true love? 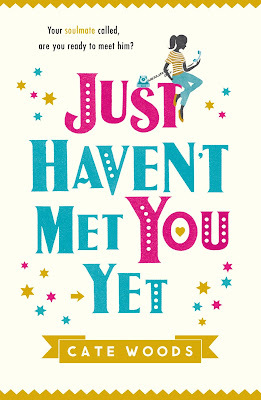 A riotous romantic comedy with a warm heart and magnificent twist!